A letter to son, David. A long time ago, a little boy was adopted into a family. He was given a new name. Through the process he was gifted the opportunity to forge a new destiny for himself. Life wasn’t perfect. In fact, it was pretty darn difficult. A number of reasons exist for that difficulty. His behavior, his life, his thoughts, all conspired to cause him to make poor decisions. Poor decisions that he blamed on the parents that adopted him into their lives and hearts. Looking back, that little boy, who is now a man, discovered that all of the problems he had in life were of his own creation. Only he had the power to change his path. That little boy was me. When that little boy became a parent, he decided that one thing he wanted his family to do was adopt a child. So they started the process to do so. Thru this process, they fell in love with and adopted a little boy. We don’t know why your birth parents didn’t want you. But the stark reality of it is, they didn’t. I make no excuses for them. I don’t know them. 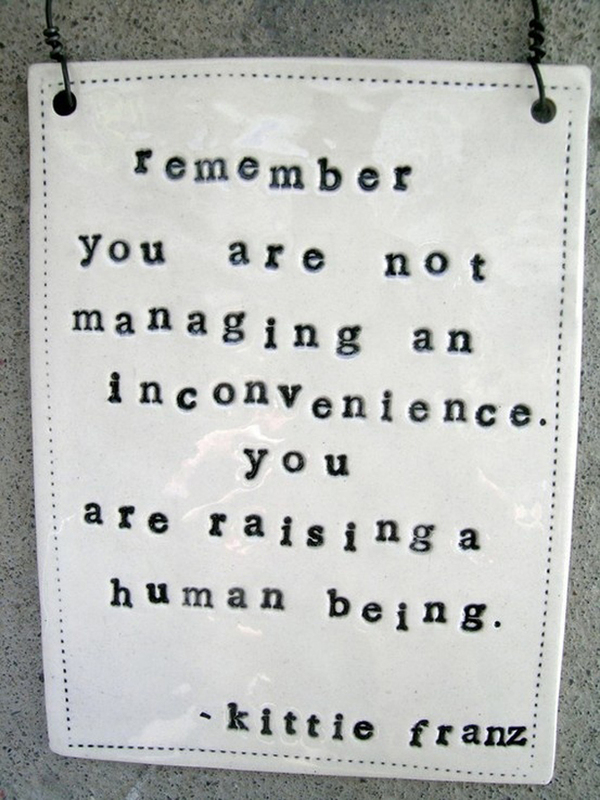 Your reality is, that while we aren’t your birth parents, we are every bit the parent that you needed in this life. I don’t expect you to believe or understand me when I tell you that. We fought for you and with you. In all aspects, we have been here for your life journey. We cried with you and for you. I braved your attacks so that I could ensure that you were safe. Mom braved your attacks so that she could ensure that you were safe. Each of your brothers and sisters did the same. None of you kids asked for this life. By being thrust into it, most of you have learned compassion and empathy. Except. You. I wish that I had some way to help you learn compassion. To learn that your words cut to the bone every time you throw them at us. All we have ever tried to do is what is best for you and your safety. Thru that, we also had to keep your brothers and sisters as safe as we could. Often over the years this meant you were sent to care in a facility. I wish that there had been a different way. It has been might fight for more than half your life to create a system of care that means children like you will receive care at home rather than having to go away to a facility somewhere. You have no idea the times that your mother and I cried ourselves to sleep because you weren’t where you were supposed to be. The home that we created for our family. A family that will always include you. You didn’t ask to be born into this life with the assortment of diagnoses that you have. Nor did you ask to be born to people who would abandon you. I won’t apologize for loving you, son. I won’t apologize for trying as hard as I could to give you the home and life you needed. Nor the care that you needed when it became obvious to everyone that you needed more than your mom and I could give you at home. I will offer one final thought. For a long time, I threw away the parents that adopted me. Left them behind like garbage on the side of the road. Years later, I realize the mistake I made at the time. It is my hope that you can learn from my mistakes and not throw away the family that loves you. We aren’t perfect as a family, and that’s okay. We never asked for perfection. « Parenting with intention. The non-incident that became a life lesson.